The origin of ancient polo is debatable, with several countries including Persia and China, laying claim to this aristocratic game of prowess and skilled horsemanship. Known by several local names in different countries – Chaughan (Persian), Da-Kyu (Japanese), Khis-Kouhou (Russian), Djerid (Turkish), and Sagol Kangjei (Indian). However, the origin of the modern name of ‘polo’ is perhaps most closely akin to its Tibetan variation ‘pulu’ which means ‘ball’. In India, polo, commonly referred to as the “Sport of Kings” was popularized under the rule of Zahir-ud-din Muhammad Babar, the founder and the first Emperor of the Mughal dynasty in the 15th century among royalty. With the rise of the Mughal dynasty, polo gained its regal status and was firmly established as the national sport of India. However, with the eventual decline of the dynasty in the 18th century, the sport too lost its place in the hearts of many. Fortunately, in the remote regions of Ladakh and Manipur, the sport survived and it was in Manipur many decades later that polo was rediscovered once more and gained popularity among the Westerners. It was around 1860 when a British officer, together with seven British Tea Planters based in Silchar set up the first club of the modern game called the Silchar Polo Club. From then onward, the popularity of the sport caught on among the British subjects in India eventually leading to polo being introduced to Europe. 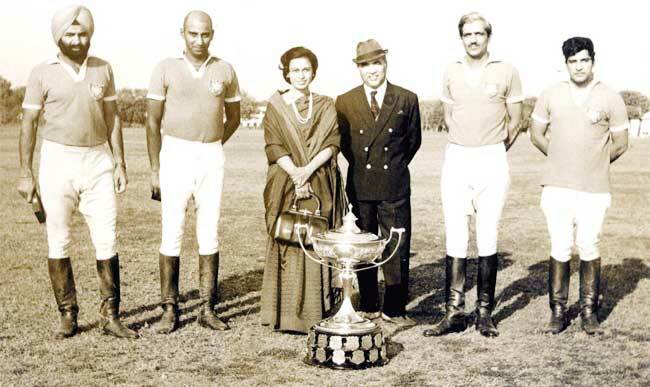 The oldest registered polo club is the Calcutta Polo Club. Once imported to Europe, polo soon became a fashionable sport, especially among the nobility and the army.